The U.S. Food and Drug Administration has sent out 1,300 warning letters and fines to retailers — including at least eight in Connecticut who illegally sold e-cigarette products to minors during a nationwide undercover operation. 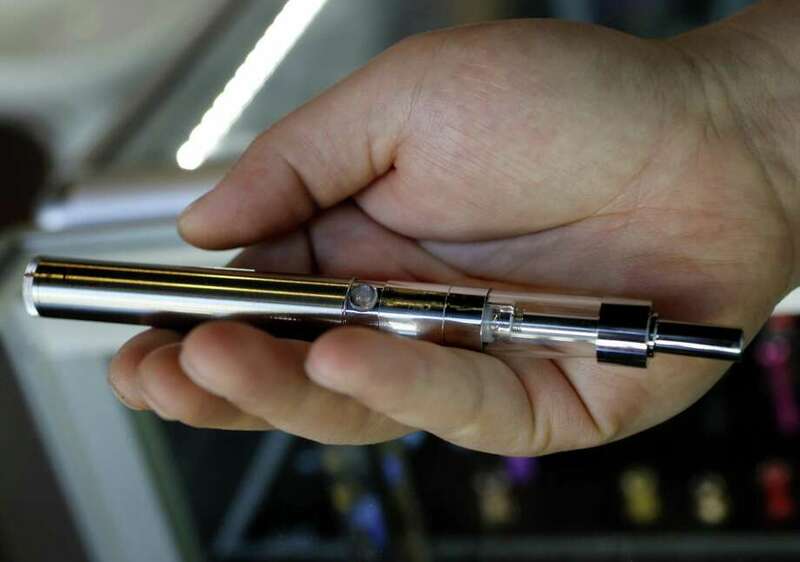 The U.S. Food and Drug Administration has sent out 1,300 warning letters and fines to retailers — including at least eight in Connecticut — who illegally sold e-cigarette products to minors during a nationwide undercover operation. The FDA also sent letters to the biggest e-cigarette brands, urging them to take action to prevent use by young people, or risk having some of their products pulled. Those penalized include the Market at Ridgefield Mobil in Ridgefield, as well as stores in Waterbury, Hartford, West Hartford, Lisbon, Vernon and Plainfield. Because of these violations — and other indications that e-cigarette use among youth has hit epidemic proportions - FDA Commissioner Dr. Scott Gottlieb, said that the agency intends to take new and significant steps to address this challenge in a speech at the agency’s headquarters. The warning letters and fines to retailers announced Wednesday were part of a large-scale blitz to crack down on the sale of e-cigarettes to minors at both brick-and-mortar and online retailers, which was conducted from June through the end of August. The vast majority of the violations were for the illegal sale of five e-cigarette products - Vuse, Blu, JUUL, MarkTen XL, and Logic. These five brands currently comprise over 97 percent of the U.S. market for e-cigarettes. The FDA has issued letters to the manufacturers of these five brands, asking each company to submit to FDA within 60 days plans describing how they will address the widespread youth access and use of their products. If they fail to do so, or if the plans do not appropriately address this issue, the FDA could take such actions as requiring these brands to remove some or all of their flavored products until they receive pre-market authorization and otherwise meet all of their obligations under the law. Some of the e-cigarette companies responded to the FDA’s actions, including JUUL. In addition to its other actions, on Wednesday the FDA also issued 12 warning letters to other online retailers that are selling misleadingly labeled and/or advertised e-liquids resembling kid-friendly food products such as candy and cookies. Over the past several years, e-cigarettes were the most commonly used tobacco product by youth. According to the Centers for Disease Control and Prevention’s National Youth Tobacco Survey, more than 2 million middle and high school students were current users of e-cigarettes in 2017.